Autorun MAX 2.1.2.0 Free Download - the original cd/dvd/usb autorun creator software. autorun cd menu maker. Free AutoPlay / Autorun Menu & Multimedia Software Development Programming Tool. the original cd/dvd/usb autorun creator software. 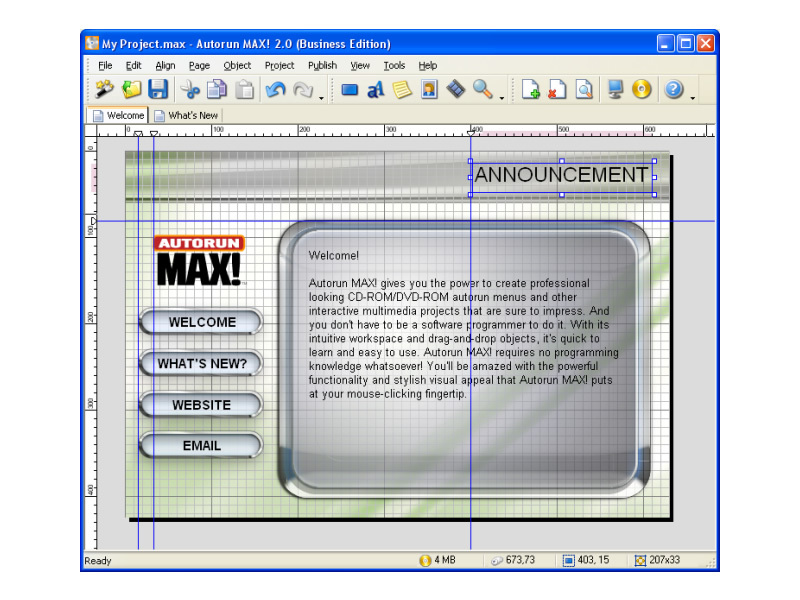 autorun cd menu maker..
AutoPlay Media Studio the rapid software development tool for visual programming. MSI installer builder for Windows software installation. Windows installer maker.